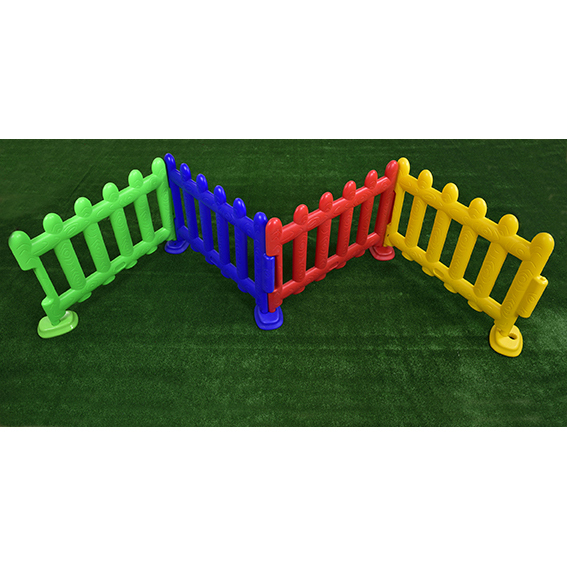 Four coloured plastic picket fence panels which are ideal for creating indoor and outdoor demarcation areas. Panels can be joined together to form straight lines or various angles as required. Additional sets can be purchased for extended fence panel runs. 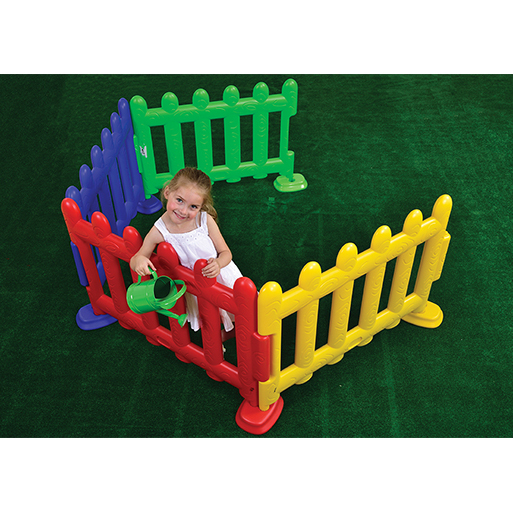 Ideal for use in schools, nurseries, playgrounds and gardens.